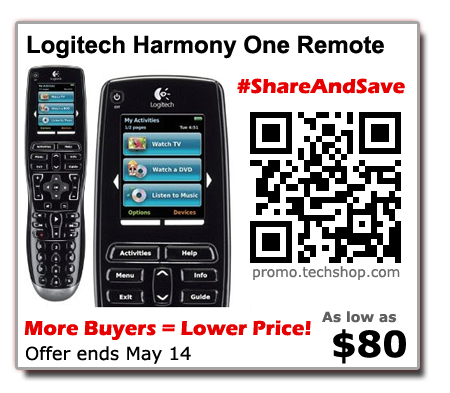 Spinzo provides a new approach for clearance and introductory promotions. Engage your customers in an interactive eCommerce experience potentially called #ShareAndSave offers (or something different). These can be daily or weekly offers to coincide with your flyers or deal-of-the-day campaigns. It's all your own branding. 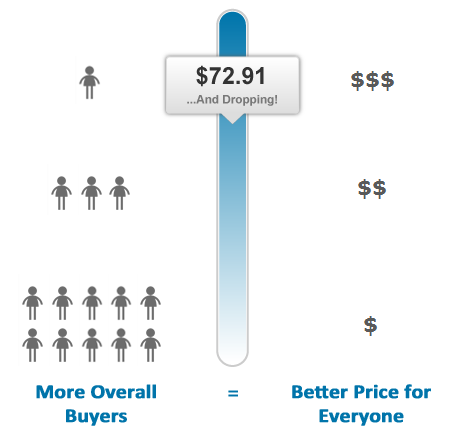 More Buyers = Lower Price for Everyone! Make this simple but powerful promise to your customers where everyone pays the final end-of-promotion price. This will compel them to act now and start sharing immediately. In today's world of continuous discounting, customers typically wait for rock bottom prices. With Spinzo-powered offers, there is no need to wait. Paper flyers can showcase Spinzo-powered offers, indicating how low the price can go, along with links and QR Codes to drive customers online. Digital flyers can feature live prices which drop throughout the week. Customers will continuously monitor pricing as they spread the word to their friends. 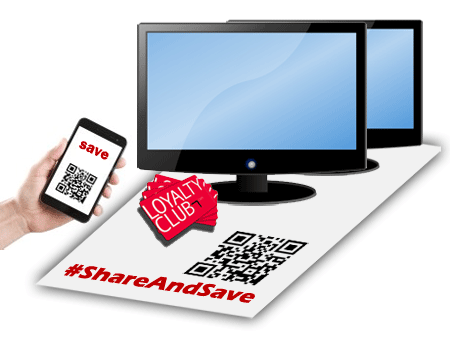 Promote #ShareAndSave offers in store to get customers onto your eCommerce site and not someone else's. Integrate with your loyalty program (as a perk or bonus) to further drive the synergies. If customers are in your store, you want them buying from you! Do you want the excitement of Black Friday without the headaches like extra security, sold out items, and upset customers? 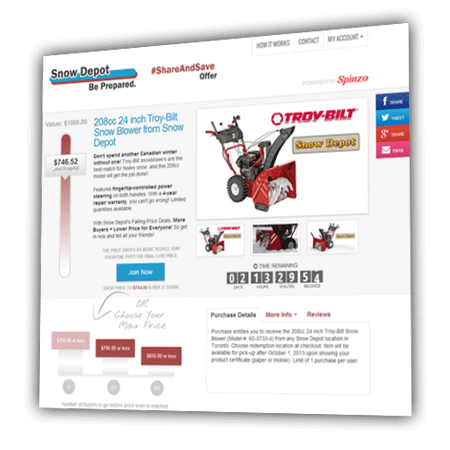 Spinzo-powered promotions deliver excitement in a more controlled environment: online. 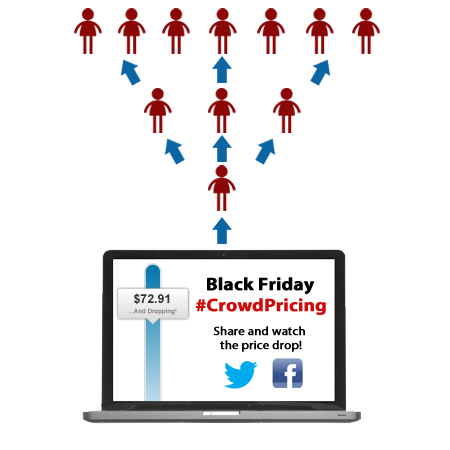 Seed a promotion and watch it go viral as people share with their eyes glued to the falling price. 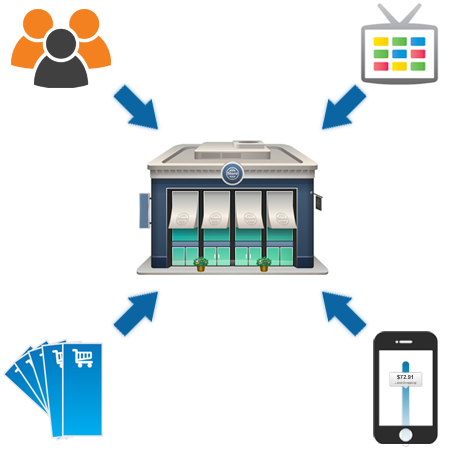 Leverage Spinzo to drive online customers in-store and vice-versa. Create a manageable Spinzo-powered loss-leader promotion online, with in-store redemption to drive adjacent revenues. Partner with affiliates to promote your products. Spinzo can automatically track referrals and customize branding for affiliate-referred customers.